Auction specialists Allsop Space recorded profits of almost €400,000 in its second year operating in Ireland. Accounts filed with the Companies Office show the Dublin-based Allsop Space Ltd increased its profits to €387,693 in the 12 months to the end of March 31. Last year’s performance represents a 26% increase on the €307,011 profit recorded in the firm’s first year. The business’s first Irish auction at the Shelbourne Hotel in April 2011 needed gardaí to control the crowds that attended. The growing demand for the firm’s auctions has resulted in the company now staging them at the RDS. 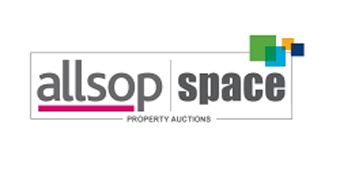 Allsop Space is a 50/50 venture between UK auction house Allsop and Dublin-based property consultants Space. Yesterday, Robert Hoban, director at Allsop Space, told The Irish Examiner the increased profit “reflects the growing popularity of our auctions and a slight improvement in the property market here”. He said the firm’s auctions last year recorded sales of €82m on 606 properties offered for sale, compared to sales of €70m in 2012 on 532 properties. Mr Hoban said the firm staged five auctions each year in 2012 and 2013, and plan to stage six this year, with the first on February 25th. He said 92% of the properties offered at auction do sell. The firm continues to recruit surveyors and graduates, with the numbers employed now at 40 staff, up from a start-up level of less than 10 employees. Mr Hoban said 55%-60% of properties offered for sale at auction come from receiverships, with the remainder being private sales.